AGING PROCESS: True barrel aged Italian balsamic vinegars must be aged to the minimum of 12 years in wood casks (barrels). If the “balsamic” is aged under 12 years then according to Italian standards it can NOT be labeled or sold as balsamic vinegar in Italy. Italy produces the World’s supply of “balsamic vinegar” but it is estimated that as high as 90% of the production can not be sold as “balsamic vinegar” in Italy. If the bottle label does not contain the age of the balsamic then in most cases you just have a red wine vinegar in your hands. Italians are very proud of their balsamic productions so rest assured if it is aged properly that information will be provided on the bottle. BARREL AGE VS BALSAMIC AGE: The age of a balsamic is exactly that; how long the cooked grape must has been aged in wood casks. Please do not confuse this with the slight of hand marketing terms referring to the age of the wood barrels. Yes the label may say “Barrel Aged” but the real question is how long? We have recently seen product descriptions stating the “balsamic” was aged in 25, 50, 100 year-old wood barrels. This does NOT mean the balsamic is 25, 50, 100 years of age. Unless you are interested in consuming the wood, the age of the barrel is meaningless. All true barrel aged Italian balsamic vinegars are aged in a battery of conditioned wood casks. Viscosity of 12 year-aged balsamic should be very similar to water. Viscosity of 18 year-aged balsamic should be similar to olive oil (lightly coat the sides of a cup), but not thick like Hersey’s chocolate syrup. Take home message: One can age grape must in 1000 year-old wood barrels for 2 days but the end result is still a 2 day-old red wine vinegar and NOT a 1000 year-old balsamic vinegar. ADDITIVES: Be aware, be very aware that many of the exported “balsamics” from Italy typically have a higher sugar content (see example section at bottom of page). The reason for this is that they are typically spiked with corn syrup, molasses, guar gum, or cornflour. These two additives are a quick bypass to the aging process and give these young vinegars sweetness, color, and thickness. Barrel aged Italian balsamic vinegars should be tart/sweet and thick through aging and not by the addition of additives. Aging over 12+ years allows the natural sugars from the grapes to condense and the balsamic to thicken through evaporation. Many of these so-called “balsamics” also contain added sodium and sulfites. True barrel aged Italian balsamic vinegars should NOT contain sodium or added sulfites above and beyond the naturally occurring sulfites found in the grapes. ACIDITY: True barrel aged Italian balsamic vinegars are acidic by nature. During the aging process the grape must is introduced to the Mother (acetobacter culture) which sends the cooked grape must down the acetic acid fermentation route rather than the alcoholic fermentation route (wine). 12 year-aged balsamic should inherently have an acidity of ~6.0%, while the acidity of an 18 year-aged balsamic should be ~4.0%. Please keep in mind that the impostor products have a bypass to obtaining these acidity levels by adjusting the acidity of red wine vinegar to 4-6% through the addition of the additives as mentioned in the section above. BALSAMIC STAR RATING: We have seen a few stores using this nomenclature which was created by Colavita a few years back to describe the different ages of their “balsamic vinegars”. The most important bit of information to know when reading this section is that true barrel aged Italian balsamic vinegars must be aged to the Italian standard of at least 12 years before they can legitimately be referred to as a balsamic vinegar. Colavita Star Rating: There are 3 Star levels, 4, 6, and 25. Each Star level must contain a percentage of 10 year-old “Balsamic” with 4 Stars containing the least amount of 10 year-old balsamic and 25 Stars containing the highest percentage of 10 year-old “Balsamic”. The problem here is that, as mentioned above, true barrel aged Italian balsamic vinegar must be aged at least 12 years so even at 25 Stars it still could not be labeled or sold as Balsamic Vinegar in Italy. Many believe the Balsamic Star System is nothing more than a marketing tool used to confuse the customer into thinking they just purchased a 4, 6, or 25 year-old bottle of balsamic vinegar. GRAPE LEAF RATING: Another smoke and mirrors balsamic rating system created in 2001, the Grape Leaf Rating has nothing to do with the age of the balsamic but rather describes the recommended use for each balsamic (salads, meats, fish….). Yikes, please do not use acidic vinegars on uncooked water based meats (fish, seafood) unless you want to create a cerviche. RED TAG & WHITE TAG SYSTEM: Another system used to refer to the age of the “balsamic”. Red tag implies the “balsamic” was aged up to 3 years and White tag aged over 3 years. Bottom line neither have been aged to the Italian standard of at least 12 years. PGI/IGP: Protected Geographic Indicator refers to two regions in Italy, Modena and Reggio Emilia. 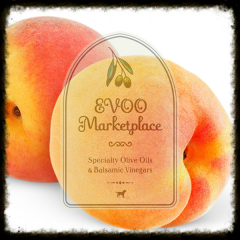 EVOO Marketplace’s barrel aged Italian balsamic vinegars are produced in Modena, Italy. ITALIAN CONSORTIUM BALSAMICS: The creme of the crop but these gems come at a high cost ($150-$275/100ml). Produced in the traditional Italian manner by aging cooked grape must in wood casks for at least 12 years. After 12 years of barrel aging these balsamic vinegars are then presented to an Italian consortium to be certified. Certification is not easy to come by! Labeling system: Red label (not the red label as referred to above) = 12 years, Silver label = 18 years, Gold label (Extra Vecchio) = 25 years+. EVOO Marketplace’s barrel aged Italian balsamic vinegars follow the same path but are not presented to the Italian Consortium and are therefore an affordable alternative. If you desire to have one of these gems swing by either our Denver or Littleton stores as we usually have a few available. BALSAMIC GLAZES: The vast majority of “balsamic glazes” are nothing more than red wine vinegar and corn syrup, gum guar, molasses, or cornflour. True balsamic glazes are created by reducing barrel aged Italian balsamic vinegars over heat. This is the ONLY way to maintain the flavor profile of an authentic aged Italian balsamic. The balsamic reduction can then be used as a “glaze”. FLAVOR-INFUSED BARREL AGED ITALIAN BALSAMIC VINEGARS: Again another Black hole in the World of Balsamic Vinegar. Honestly because this subject is such a maze I do not plan to spend much time on this subject. The most important point to make when navigating this field is that our flavor-infused balsamic vinegars use our barrel aged Italian balsamic vinegars and all flavors are natural! Our flavor-infused barrel aged balsamic vinegars do NOT contain crystalized cane sugar or any artificial flavoring. THE KICKER: Because of extremely loose importation labeling requirements, not all ingredients may be listed on the bottle. For a complete list of all ingredients and nutritional values please feel free to visit our Barrel Aged Italian Balsamic Vinegars product pages. EXAMPLE #2: Raspberry Balsamic (GB): Serving size 1Tbs, Calories per serving = 49, Fat Calories = 0, Total Fat = 0g, Sodium = 0mg, Total Carbs = 14g, Sugars = 9g, Protein = 0g. Acidity 4.5%. 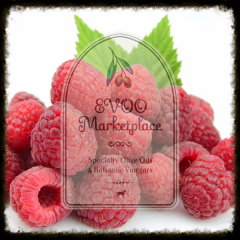 Ingredients: Raspberry juice concentrate, organic crystallized cane sugar. Age: N/A. Cost $18 for 6.0zoz. 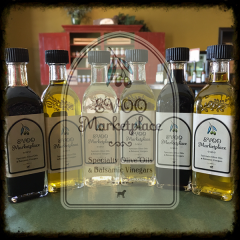 Shop with confidence at EVOO Marketplace-our barrel aged Italian balsamic vinegars are ALL aged to the Italian standard of at least 12 years or longer. Our barrel aged Italian balsamic vinegars do NOT contain additives such as corn syrup, molasses, gum guar, cornflour or added sodium! The sweetness and thickness come from the traditional barrel aging process of at least 12 years. ALL flavor infused barrel aged Italian balsamic vinegars are infused with all-natural flavors. This is a fantastic write up! I have been doing my own research and the information you provide is spot on. 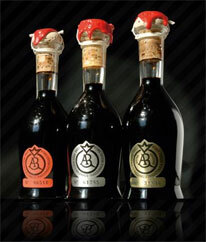 We have been using your products ever since the store in Denver opened and your balsamic vinegars are unmatched. We recently came across a place in the outlet mall in Castle Rock and I think they were labeling their balsamics with stars. Absolutely disgusting. I thought I was tasting perfume mixed with motor oil. You guys have us hooked and thank you for the education!